Industry 4.0 has promoted rapid gains in analytics capabilities, big data, artificial intelligence and machine learning, which is continually driving a new era of market and business intelligence, aimed at interpreting and translating data into working insights that increase manufacturing competitiveness. 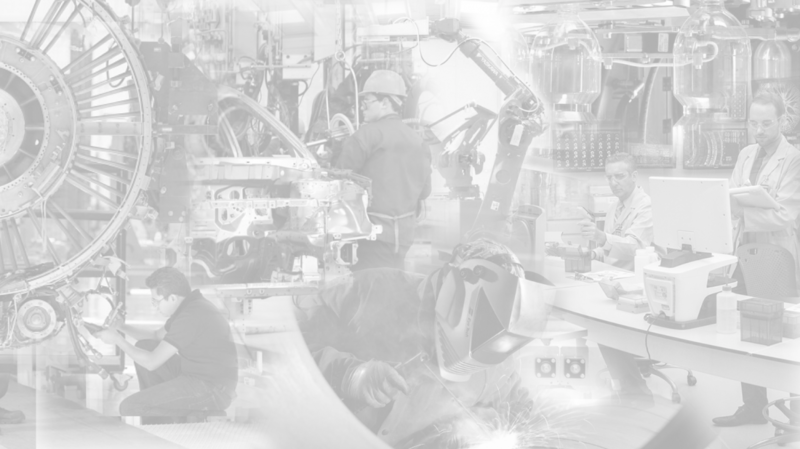 Industry 4.0 is characterized by the computerization and connection between physical and digital systems, the next generation of industrial infrastructure, ultimately making decisions without human involvement. This evolution of industry is being hailed as the fourth industrial revolution, being set apart by the advanced industrial analytics that drive networks of machines, digitally connected, to create and share information. Industry 4.0 is changing the rules. Companies are reframing business models with the adoption of digitalized systems like the Internet of Things, Cloud Computing or Artificial Intelligence. This technology diffusion and human adoption, when seamlessly integrated into working life, is revolutionizing company culture in manufacturing, driving innovation and competitiveness. Manufacturing is among the most data-intensive industries that exists. The flow of information between machines, systems and people drives productivity through accuracy and efficiency. Systems aim to monitor and control equipment and products through a cycle of feedbacks that collect a great quantity of data and interpret and update virtual models with the information of the physical processes, resulting in a smart factory. As the number of smart devices and amount of captured data grows, connectivity and communication will only become more important. McKinsey Global Institute predicts that by 2025 the Internet of Things will generate over $10 trillion dollars to the global economy. The amount of information captured cannot reasonably be analyzed by humans. Machine learning and artificial intelligence take data captured from sensors, contextualize it, and detect early warning signals for performance decrease through assets, and allow humans to study data trends and identify areas for optimization. There are many opportunities to improve production efficiency, flexibility and visibility based on the massive amount of data being generated in every manufacturing business. Processes across all business areas can achieve higher levels of automation, and increased revenue was reported as the biggest benefit of Industrial Analytics implementation projects in the 2016/2017 Industrial Analytics Report. Among projects focused on increased revenue, many manufacturing clients are focused on transitioning to smart, efficient factories with vertical integration from sensors; data transparency to identify and avoid costly problems; improvement of logistics and warehousing efficiency; optimization and automation of back-office processes; smart energy consumption; and identifying new opportunities through market data insights and trends. According to the PwC Industry 4.0 Survey, companies expect to increase annual revenues by an average 2.9%, or a total expected annual increase of $493 billion by the implementation of Industry 4.0 digitalization projects over the next 5 years. Nearly 50% of businesses with Industry 4.0 projects underway expect to see double-digit growth in the same time period. A 2018 meta-analysis of the benefits of business intelligence gained through digitalization projects on manufacturing identified initial impacts of Industry 4.0 including: the reduction of rework, cost reduction, improved yield, improved quality, reduced false alarms, improved catch rate, reduced material usage, reduced scrap, improved productivity, reduced downtime, improved awareness, improved prediction of energy savings. Scaling from descriptive to predictive, manufacturing analytics intelligence is designed to meet the information needs of a wide variety of roles across manufacturing operations, creating efficiency and driving revenue. Smoothly overcoming challenges to adopting Industry 4.0 is essential to the successful implementation of manufacturing digitalization projects. Among them are data security and privacy, technology standardization, implementation stability and reliability, and lack of experience. Effective project management by professionals driving industry innovation is key to obtaining results by doing it right the first time. Resources or assets such as machines, people or technology do not by themselves yield a competitive advantage, but when a set of them are formed into differentiating capabilities, they can perform tasks or activities than can create value and achieve competitive advantage over a company’s rivals. These capabilities are often manufacturing-focused or customer-focused competencies. A company’s differentiating capabilities are determined by strategic actions from leadership regarding customer demands, competitor actions, and supplier capacities as well as the company’s internal strengths and weaknesses. Based on its strategy, a company sets competitive priorities, or goals, that aim to meet and exceed market demands including: cost or efficiency, flexibility, quality, delivery time, innovation, customer service, environmental protection, and experience or know how. Competitive priorities or goals, when communicated and aligned by leadership and through digitalization projects to improve efficiency and capacity, foster manufacturing competencies. When further combined with other functional competencies such as customer service, these goals yield competitive capabilities for the company, unique to its culture and environment, which should aim to differentiate a manufacturing company from its market competitors, now and in the future. For example, if an organization’s goals are to increase product variety and reduce lead time for customers (competitive priorities), it may develop programs and practices that reduce setup time and increase equipment reliability. These programs should increase the company’s machine flexibility (competence) and could help it achieve fast and dependable delivery (competitive capability) of products that precisely meet customer demands. Other customer-focused competitive capabilities include flexible product innovation, quality, delivery dependability, competitive price and after-sales services. Competitive capabilities emphasize the role of strategic management in appropriately adapting, integrating and configuring skills and resources to match customer expectations. Superior competitive capabilities lead to increased performance including higher sales volume and profit margins. Using data analytics through digitalization projects to collect and interpret data points related to a company’s manufacturing operation exponentially drives competence and when combined with market and business intelligence, translates into competitive capability, focused on both manufacturing excellence and market share competitiveness. Manufacturing companies create competitive advantage through their capabilities and also through innovation and strategic decision-making. Many of these innovations are manifested in new product design, production processes, a new marketing approach, or training. Other innovations create competitive advantage by identifying a new market opportunity or segment, or new product applications. Information and intelligence- whether not available or interesting to competitors- plays a large role in the process of innovation and improvement, and thus competitive advantage of companies. Again, only when manufacturing capabilities, or operational excellence, is matched with market-facing intelligence such as customer buying trends, future product demand, additional product applications, or emerging market opportunities can a company truly achieve competitive advantage and increase their market share over rivals. Understanding how key indicators give business insight and from which trusted sources to obtain market data can make or break the success of innovation projects. Creating a custom business intelligence strategy with the guidance of an industrial market leader will empower strategic decision-making. The basis of strategic decision-making practiced inclusively by all areas of a business relies on the translation and interpretation of current market trends as well as the engagement of chain users (operational, technical and managerial key users) regarding market implications. Manufacturing companies continually report increasing use of data analytics and business intelligence to drive strategic decision-making and are shifting to more intelligence-based systems to amplify even further `The Big Picture´. The foundation of competition has shifted more to the creation and assimilation of transparency and thus knowledge, and companies achieve competitive advantage through this expanded and well-rounded know how as it translates into innovation and strategic decision-making through all areas of the company. As famously recommended by Michael Porter, create pressures for innovation. Welcome competition and how it seeks to drive the development of competitive advantage. Identify the most capable competitors as motivators, and set high standards. Empower employees to think differently and foster a culture of transparency and reliance on data and intelligence to validate great ideas. Implement data analytics to optimize manufacturing factor conditions such as raw materials or labor force and early warning systems to capitalize early mover advantages. Obtain and utilize market and business intelligence to understand demand conditions such as current and emerging buyer needs and habits. Map out your Industry 4.0 strategy with the support of professionals and start taking steps toward the Industrial Revolution 4.0, shown to increase manufacturing competitiveness when manufacturing capacities are optimized through the combination of market and business intelligence. Prodensa is a management consulting firm collaborating with global companies in the North American manufacturing industry, with roots in Mexico. 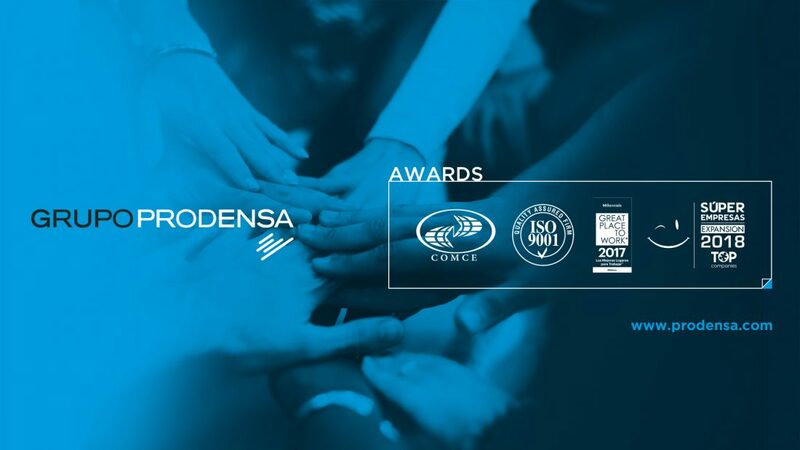 Over 35 years of manufacturing start-up success, Prodensa has supported world class organizations to capitalize on market opportunities and achieve competitive advantage and increased market share. Read more about how Microsoft Office 365 tools have optimized Prodensa strategies to bring clients improved business intelligence in the form of real-time KPI transparency. Columbus, Louis. (n/d) “Manufacturing Business Intelligence is Creating a New Era in Business Analytics” Business Analytics.